Huawei introduces stylish Smartphone in this modern era with amazing incentives. Huawei is launching Huawei Honor Magic along with multiple latest Smartphone features. It is an amazing hand-set has produced by Huawei for its valued customers of the Globe and it is giving opportunity to avail countless unique telecommunication technologies through this cellular phone. This hand-set gives updated Android 6.0 Marshmallow system with speedy Octa-core processor. It is giving option to use two SIMs connections on same time by using this Huawei hand-set. Huawei has updated touch typing facility in this cellular phone and touch keypad is really phenomenal of this mobile phone for using. It is also providing 3G and 4G internet usage options in this Smartphone and users can avail both modern internet technologies after buying this mobile phone. This handset is providing exceptional camera option for using because it is giving 12.0 mega pixels reliable rear camera feature along with 8 mega pixels front camera option. It is also given countless unique camera features in this cellular phone and users can capture countless photos and records videos through this cellular phone. This is best launched Smartphone of Huawei till date and it providing charming look of users personality. It can provide different look from others when this hand-set is in your hand. Get the complete specification details of this Smartphone from the below. Processor:Octa-Core 4×2.3 GHz Cortex-A72 and 4×1.8 GHz Cortex A53. Rear Camera: 12.0 mega pixels (Dual-LED). Front Camera: 8.0 mega pixels (Touch-focus). Display Screen Size: 5.1 Inches. Display Colors:AMOLED Display Color, 16M Color and Full HD display. Bluetooth with A2DP, WLAN, USB, GPRS, EDGE, WI-FI, WI-FI Hotspot and DLNA. Audio: FM Radio, 3.5mm audio jack, MP3, MP4 and WAV Files. Messages: SMS, MMS, E-Mail, Push Mail and IM. Battery: 2900 mAh Li-ion (Non-removable). Ringtones: Downloadable, Polyphonic ringtones, MP3, WAV Files and Sound-recording. Other Features: Chipset Hi-silicon Kirin 950, Multi-touch display option, Speaker-phone, Document Viewer, Photo/Video editor, Calendar, Google Search, GPS Supported, A-GPS Supported, Nano-SIM option and Wise-Screen. 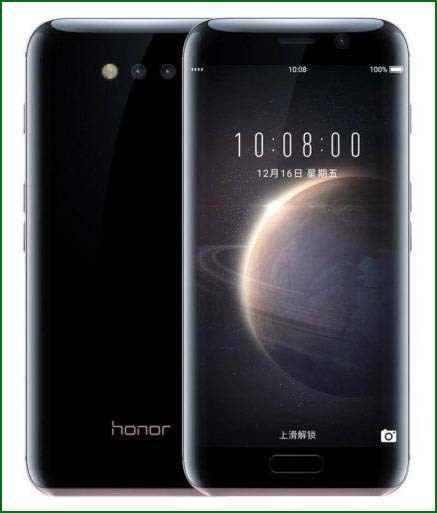 Latest Features: Fingerprint scanner, Graphite molecular structure feature, Face code intelligent recognition, Huawei Magic Live AI, External Micro-SD storage, Face and smile detection camera, ~577 PPI pixel density, Active noise cancellation via MIC, Type-C 1.0 reversible connector and BDS. Available Colors: Porcelain White and Golden Black. You may also like it: Huawei Y6 Pro.